Bobo is a Faceted Search implementation written purely in Java, an extension to Apache Lucene. 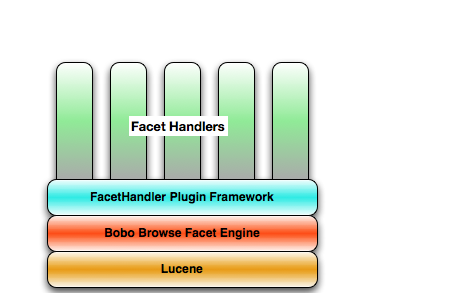 While Lucene is good with unstructured data, Bobo fills in the missing piece to handle semi-structured and structured data. Bobo Browse is an information retrieval technology that provides navigational browsing into a semi-structured dataset. Beyond the result set from queries and selections, Bobo Browse also provides the facets from this point of browsing. No need for cache warm-up for the system to perform. See Techcrunch article covering our search improvements.